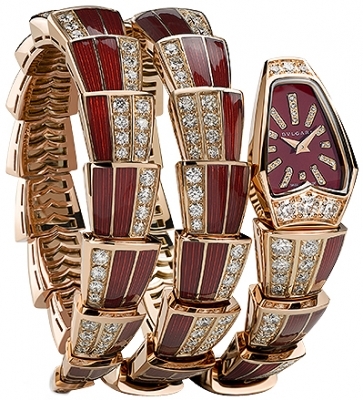 The SERPENTI JEWELERY line is one of BVLGARI's most iconic products. Hand-constructed & crafted this watch resembles a snake, the head of the watch imitates the head of a snake & the gradual tapering of the bracelet imitating the body & tail of a snake. The bracelet is a comfortable wear due to the suppleness & flexibility of the bracelet. 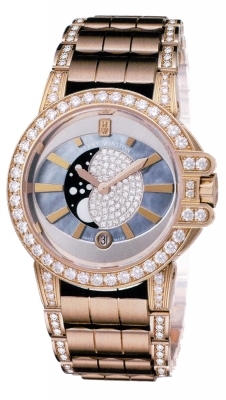 Polished 18kt white gold case set wit 6 diamonds weighing a total of approximately 0.45 carats. 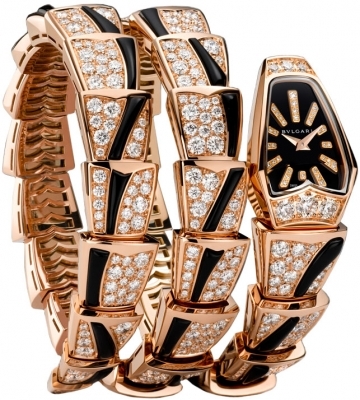 Polished 18kt rose gold flexible "Scaglie (scale)" style bracelet. Links are filled with a black enamel & partially decorated with diamonds. 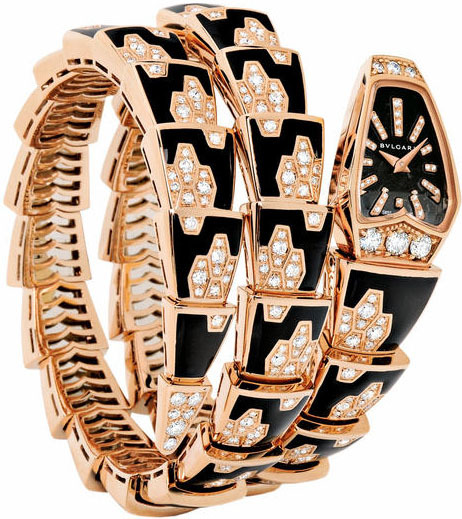 Applied polished rose gold index hour markers set with 33 diamonds weighing a total of approximately 0.06 carats.